Last Sunday, the LoopHoler Rebbe (aka. 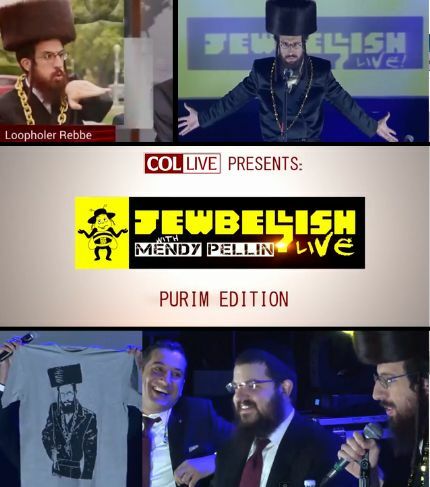 Mendy Pellin) performed “Jewbellish Live.” Similar to the Tonight Show format, it contained a mixture of stand-up and celebrity interviews. He interviewed famed Israeli singer Chaim Yisrael and local Jewish singing sensation Benny Friedman. A crowd of 1500 people were in attendance for the show benefiting children with special needs. Help children with special needs pay for school.